Our team of attorneys is well equipped to deal with any dispute in ways which provide value for money to our clients. 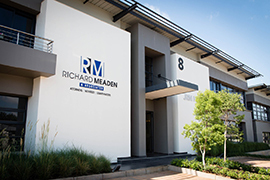 Richard Meaden & Associates Incorporated is a well established law firm. It previously traded under the name and style of Burt Meaden. Richard Meaden & Associates possesses a highly dedicated and motivated team. This law firm offers a broad range of professional services sought by corporate and private clients.